Dana grew up as a Coast Guard brat, living all over New England and the East Coast. After trying college in Pennsylvania, he embarked on a 12-year career in the Army that took him around the world and had the pleasure of serving alongside some this generation’s finest. Currently he lives in Minneapolis, Minnesota where he’s finishing his Bachelor’s Degree in Business Management with an emphasis on Digital Marketing and a future goal of working for a collegiate or professional hockey program. When he’s not in class, he can be found on the ice playing with the Minnesota Warriors Disabled Veteran’s Hockey Programand as a goal-tending coach for high school and junior players. 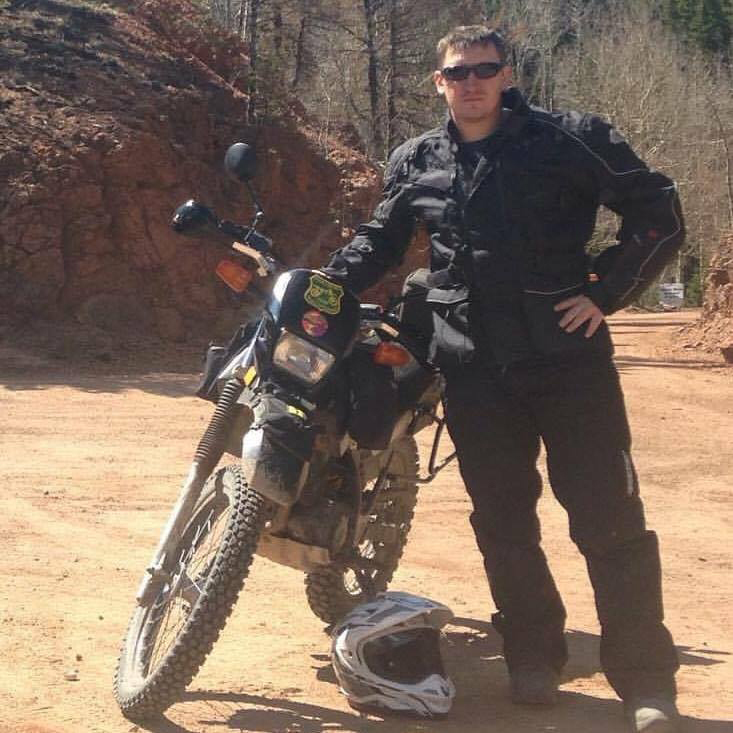 He is also an avid adventure motorcycle rider who uses his land navigation skills and other field craft to take on trips in some of the most inhospitable terrain from Colorado, Utah and Minnesota. Dana is married to his wife Kelsi and they raise three Australian Cattle Dogs who act like dysfunctional privates and specialists on a daily basis.